Real chicken is the first ingredient, blended with the goodness of whole grains, fresh vegetables and brown rice. 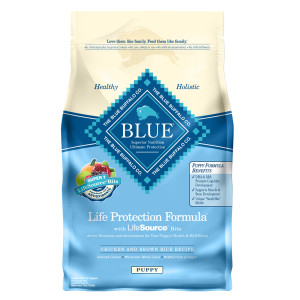 Blue Puppy Formula features increased protein for proper growth and development and is enhanced with LifeSource bits to help defend against toxins. It also strengthens the immune system to support the specific lifestage requirements of puppies.